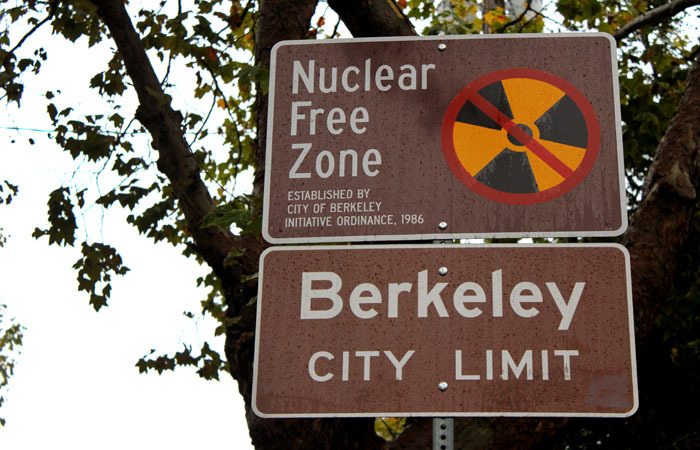 Berkeley City Councilmember Gordon Wozniak is working to repeal key portions of the Nuclear Free Berkeley Act — a measure that blocks the city from dealing with anything related to nuclear power. Wozniak takes issue with the section of the act, passed by voters in 1986, that prevents the city from investing with any organization with ties to nuclear energy or nuclear weapons — including the federal government. The city’s Peace and Justice Commission has upheld this aspect of the law, preventing the city from investing in U.S. Treasury financial instruments because they are products of the federal government. Wozniak has already made progress in obtaining a partial repeal. At a Sept. 20 council meeting, council members approved a resolution allowing the city’s finance director “to make investments, including U.S. treasury bonds, pursuant to the investment policies” for the 2012 fiscal year. Wozniak also said he plans to put U.S. treasury financial instruments, which include notes and bills in addition to bonds, on the table for approval at an upcoming meeting. However, Wozniak will most likely face opposition from community members and some council members. The Nuclear Free Berkeley Act originally passed 25 years ago by referendum and with little controversy, according to Cathryn Carson, a UC Berkeley associate professor of history who specializes in nuclear history. “(The act) was created with some very strategic calculations on how to launch a protest against the military industrial complex,” Carson said. Around the same time of the passage of Berkeley’s act, Oakland, Hayward and Davis also passed nuclear free acts. “We are part of a much larger movement,” said George Lippman, chair of Berkeley’s Peace and Justice Commission. Berkeley’s act also places limitations on the city’s interactions with UC Berkeley. “When the city wants to hire a UC consultant you have to get a waiver from the Peace and Justice Commission, because he works for the UC which is related to nuclear weapons,” Wozniak said. City government agencies can bypass some of the act’s restrictions by applying for a waiver from the Peace and Justice Commission, according to Lippman. He said that in his more than three years on the commission, no projects from the campus have been turned down. “I am certain that the people of Berkeley still support having a nuclear-free Berkeley,” Lippman said.